United States of America", for an amount of "up to and including my life." 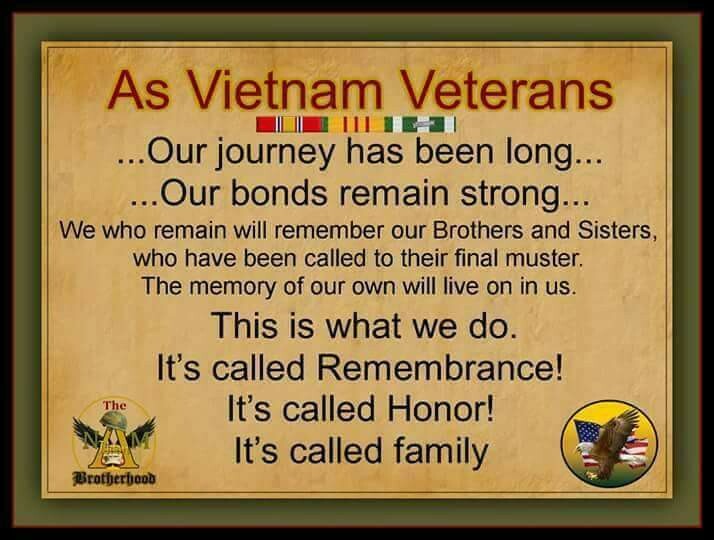 I’m a proud Vietnam veteran …..
I’d like to know if you have any Marine members that may have fought at Con Thien I ask this because I’m trying to coordinate a panel discussion of combat vets who may have fought at some of the major battles during the war (e.g., Khe Sanh, Hue, Con Thien, Ia Drang Valley). 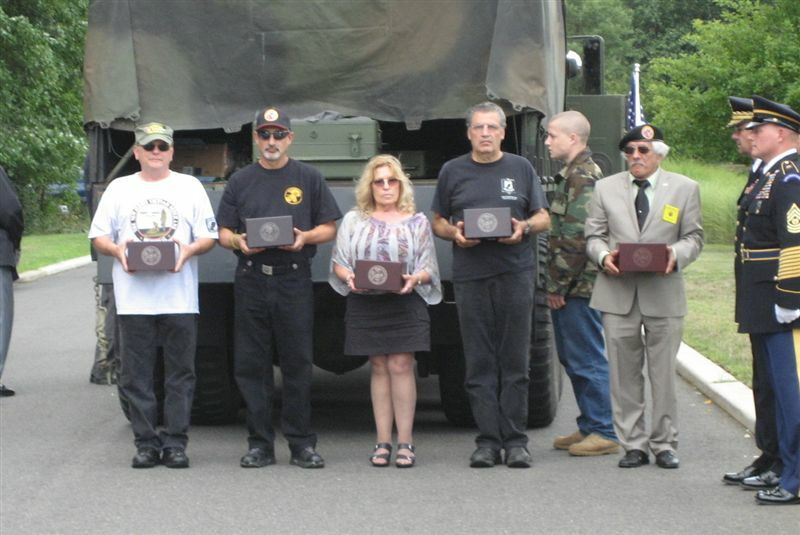 I’m hoping to schedule the discussion for late October of this year at the NJ Vietnam Veterans Museum & Education Center in Holmdel. New for Tax Year 2017. You are eligible for a $3,000 exemption on your Income Tax return if you are a military veteran who was honorably discharged or released under honorable circumstances from active duty in the Armed Forces of the United States by the last day of the tax year. Your spouse (or civil union partner) is also eligible for an exemption if he/she is a veteran who was honorably discharged or released under honorable circumstances and you are filing a joint return. This exemption is in addition to any other exemptions you are entitled to claim and is available on both the resident and nonresident returns. You cannot claim this exemption for a domestic partner or for your dependents. You must provide a copy of Form DD-214, Certificate of Release or Discharge from Active Duty, the first time you claim the exemption. This form does not need to be provided each year. The United States National Archives and Records Administration can assist with obtaining a copy of your DD-214. Fax your DD-214 and Veteran Exemption Submission Form to 609-633-8427. Other Electronic Filing Methods. If you file your return using NJ WebFile, third-party software (such as TurboTax), or you have a tax professional who electronically submits your return, you can send a copy of your DD-214 and Veteran Exemption Submission Form using one of the three certification methods listed above. And invited to attend Chapter 233 regular meetings and special events. Senator Jerry Moran (KS) introduced S. 609, the Chiropractic Care Available to All Veterans Act of 2017, which would require VA to offer chiropractic care at a minimum of 75 VA medical centers by the end of 2018 and at every VA medical center by the end of 2020. VA currently offers chiropractic services as part of its medical benefits package. However, VA’s website indicates that only about 65 VA medical centers have chiropractors on site who are integrated into primary care, rehabilitation and other specialized care teams. Please write your Representative today to urge co-sponsorship and enactment of S. 609. As always, thank you for your advocacy in participating in the Commander's Action Network. Edward T. Cook passed away on Monday, February 22, 2016 at his home in the Fords section of Woodbridge Township. He was 91 years old. Born in Perth Amboy, he resided in Edison for most of his life before moving to Fords 2 years ago. Mr. Cook was employed as a boiler operator for Chevron Corporation in Perth Amboy for many years. He was a United States Navy veteran of World War II, serving in the American, European African Middle Eastern and Asiatic Pacific Theaters of Operation; and belonged to Clara Barton Post 324, American Legion, Edison, Vietnam Veterans of America, Central Jersey Chapter 233, The Military Order of the Cootie and Chevron Retirees Club. He also belonged to the Veterans of Foreign Wars, where he served as State Bugler for 21 years. Mr. Cook was predeceased by his first wife, Roberta O’Donnell Cook; and a son, Ronald Cook. Surviving are his wife of 32 years Jean Southwell Cook; a son, Edward Cook, of Oklahoma; a brother, George Cook, of Florida; and two grandchildren. Funeral services will be held on Friday, February 26, 2016 at 8:30 p.m. at Costello-Greiner Funeral Home, 44 Green Street (at Barron Avenue), Woodbridge. Cremation will be private. Visitation will be on Friday from 2:00 until 4:00 and 7:00 until 8:30 p.m. at the funeral home. Copyright 2014 VVA233. All rights reserved.